The SKB Contoured Pro Tenor Sax Case is a highly-durable transport case designed to accommodate tenor saxophones. The case itself its constructed from heavy-duty polyethylene for maximum strength and protection. The interior of the case features a plush lining with perfect fit valances and a D-ring for the strap. The contoured design and reinforced hardware with backplates ensures the case is highly durable while the ergonomic handle allows you to transport your case with ease. 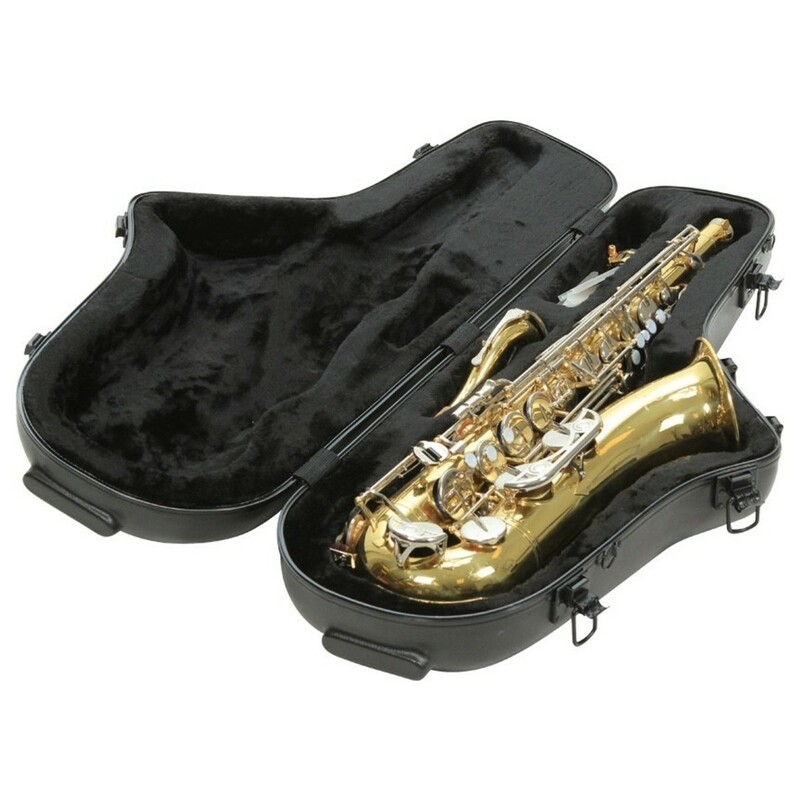 This case from SKB has been designed to offer maximum protection for your saxophone. The case itself has a contoured design to ensure your instrument is protected and secure at all times. The exterior features black hardware with an ergonomic handle for ease of transportation plus convenient 'stuff' pouches for added storage. 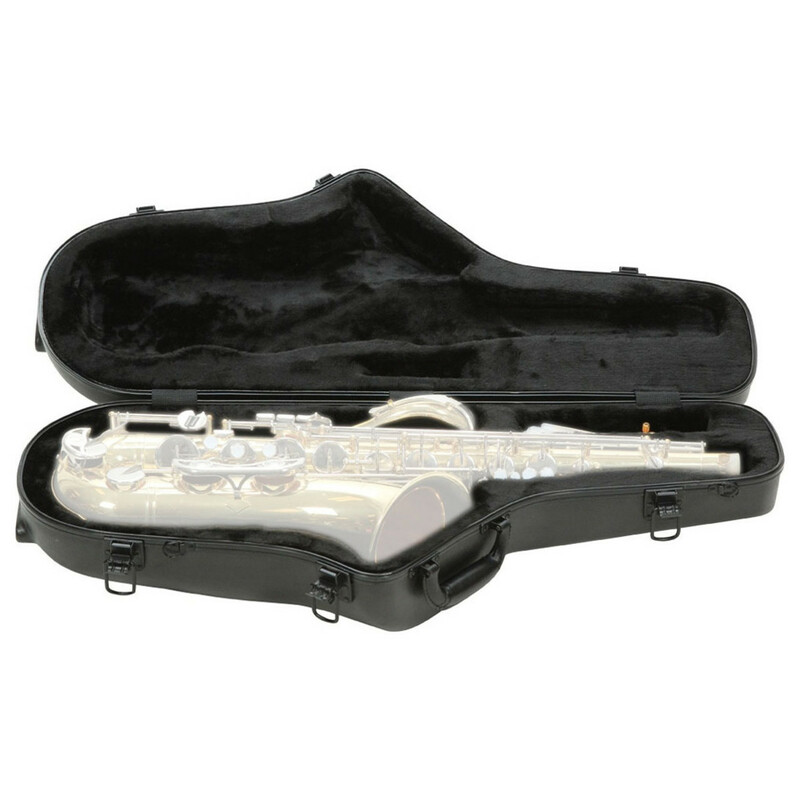 The interior features two separate compartments for storing both neck and mouthpiece, and is finished with a plush lining to ensure your instrument is stable and secure at all times. There is also a compartment features in the interior for storing accessories such as cleaning kits and more. 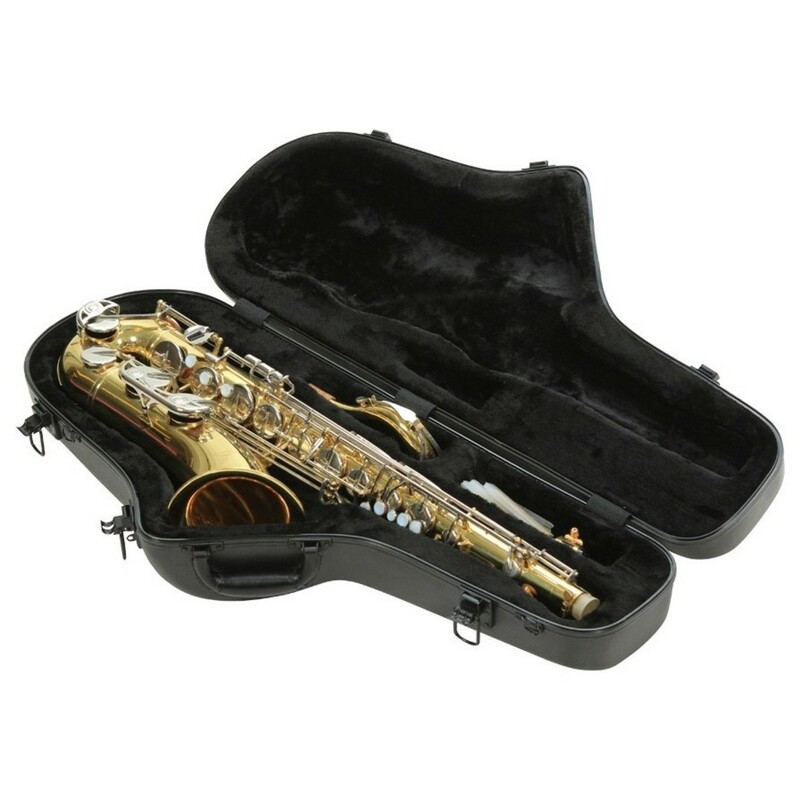 With its ergonomic design and durable construction, this case is ideal for the travelling saxophone player.